According to the press release, this new range of arty laptops is contemporary and bold. I couldn’t comment on the former, but bold it certainly is. Whether it’s the kind of bold you think you could rock is another matter altogether. Personally, when my laptop upstages me, I think it may be a problem. There’s a choice of four designs, all from Mike Ming. What do you mean you don’t know who Mike Ming is? According to his bio he’s one of those dudes that hangs around NYC skateboarding, gathering inspiration and graffiting stuff. I think he’s probably quite cool. 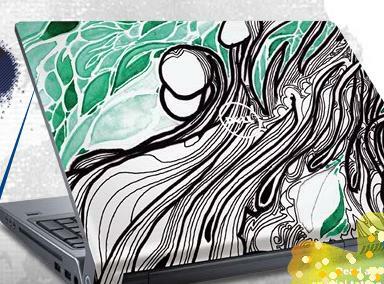 Dell have used their tattoo paint method to create the effect, and the laptops themselves are the Studio 15 and Studio 17 range. Prices start at 449 quid, although for Bluray, a decent hard drive and other extras you obviously pay more.